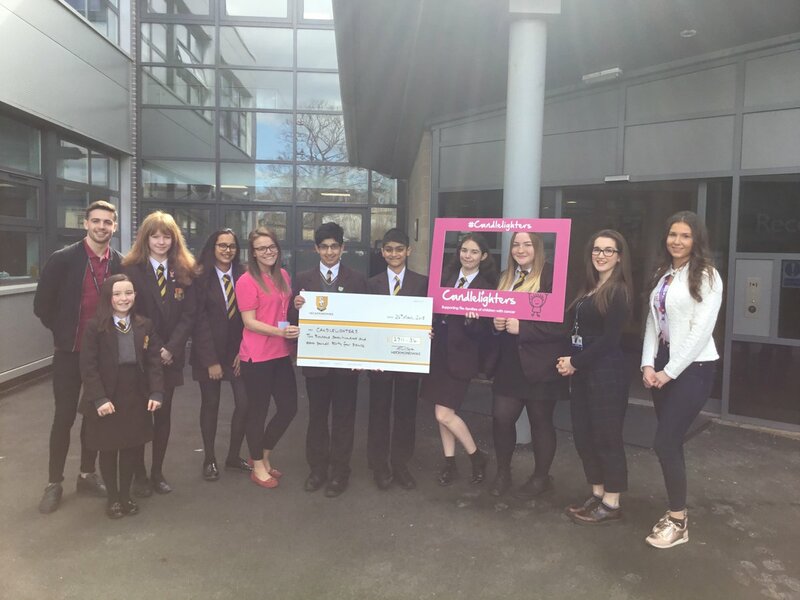 Throughout the year, there have been numerous events that have been extremely enjoyable for everyone at the school but, more importantly, have raised lots of money! Both staff and students have got involved with the money-raising, especially throughout the Christmas term. A Christmas jumper non-uniform day really got lower school into the Christmas spirit, raising £921, along with mince pie sales going down a storm in the staff room! Heckmondwike teachers continued their spur of fundraising with many opting to donate to Candle-lighters rather than send Christmas cards to one another meaning there really was the generous Christmas feeling throughout school! The annual tradition of the Christmas fair was ever anticipated amongst both staff and students, with the challenge of spending as much as possible in the 30 minutes on all the stalls really paying off, with a whopping £1610.13 being raised! A Christmas photo booth, ‘I’m a celebrity’ trial and a mock- tail stall all turned out to be extremely popular, with Father Christmas providing the most entertainment. This kind of event is something of a tradition at Heckmondwike Grammar school, leading up to the excitement of the last day before Christmas, so using it to raise money for such an amazing charity was a privilege. The sixth form took part in a ‘Formal Friday’ whereby year 12 and 13 students come to school in business-wear and pay £1 to do so. As well as it feeling very apprentice-style, it is an easy way to raise lots of money in a single day and something which everyone can get involved in! Halloween brought another fantastic opportunity to dress up once again, with everyone getting thoroughly involved. There were witches, corpse brides and members of the Adams family rocking up to their usual A-level lessons, all to raise as much money as possible for Candlelighters! On Monday 26th March 2018, the school presented Candlelighters with a cheque of £2,711.34, raised from the Christmas Fair, Christmas jumper day, mince pie sales and teacher donations. Sixth form are still fundraising and are yet to hand over the money raised, meaning the overall total is still to rise! Supporting Candlelighters all year has brought everyone at Heckmondwike Grammar together, both year 7-13 and staff. It has been immensely enjoyable raising the money and, as a school, we really hope our efforts will be beneficial.